The FCC, has approved AT&T's request to reexamine its proposed purchase of 4G spectrum from Qualcomm and has gone ahead and approved the deal with some minor requirements. When AT&T announced it was pulling out of its proposed $39 billion purchase of T-Mobile, it requested that the government quickly take another look to approve its purchase of the spectrum from Qualcomm. The spectrum being purchased by AT&T is the 700MHz frequency that Qualcomm had been using for its now defunct Flo TV service. As part of the deal for granting approval, AT&T must guard against interference on nearby frequencies and also allow roaming from phones and tablets on rival networks. The agreement could take effect by the end of the year. Approval for the $1.9 billion deal might seem like a consolation prize given to AT&T after the latter had to pull out of its bid to buy T-Mobile. When AT&T withdrew its application to make the purchase from the FCC, the commission hinted at an approval for the deal with Qualcomm. And though many of AT&T's rivals and public advocacy groups were delighted with AT&T's decision not to pursue the nation's fourth largest carrier, the same organizations and competitors are not pleased with the FCC's approval of the Qualcomm deal. AT&T is not being forced to have the 700MHz spectrum it purchased work with that from Verizon or other carriers. Having phones from rival carriers operate over the spectrum could still happen, but under the terms of the deal, AT&T would not be required to offer support and subscribers might be forced to purchase new equipment if they decide to switch carriers. The lack of compatibility might be a moot point because the FCC is planning on taking a look early next year, at requesting that LTE networks be compatible. While I am glad that AT&T decided to cancel the T-Mobile purchase, it's good that they are able to get some of the spectrum that they needed without causing a chaos that would've happen if the deal went through. The rivals just need to just deal with the result of this case even if it doesn't make them happy, at least they will be allowed a roaming agreement with AT&T, as they are required to do so. Now that this is over, the rivals/competitors just need to move on and focus on more important issues than other networks and focus on their own company needs. I sure hope ATT are happy with their consolidation prize. Seriously, PA...how much could a proofreader cost? Consolation prize? They have to pay a 6 billion break up fee ... and now 2 billion for this deal. As noted also ... AT&T must allow other carriers to roam ... so this is not exclusive bandwidth either. It was actually a $4 billion break-up fee. But spending $6 billion is better than spending $39 billion for the network's needs in spectrum. You're wrong... it is exclusive bandwidth. 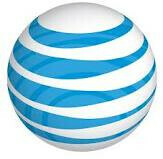 AT&T will allow other carriers to roam for a fee. Did you ever make roaming phone calls and see how damn expensive it is? Most people won't do it unless it's an emergency. All carriers have this agreement. It's standard practice. Most carriers roam on Verizon though because they cover the most area.